Vacheron Constantin’s been on a bit of a roll lately. First, they had that super successful launch of the Historiques Triple Calendrier 1942 & 1948 watches. Then just this week we heard about the maison taking a plunge into e-retailing with Hodinkee, no less. And now — very intelligently — they decided to capitalize on the watch crowd that has gathered at the Dubai Watch Week 2017, to announce their pre-SIHH timepieces for 2018. Moving swiftly along then, the initial novelty Vacheron Constantin is presenting is an addition to their Overseas collection. It’s not to say that the Overseas didn’t have a dual time watch previously, but as of the watch’s reintroduction in 2016 with the redesign, a dual time watch hasn’t been part of the lineup, until now. In creating a new version of the dual time watch for the Overseas, the maison’s gone the path of creating a whole new caliber. 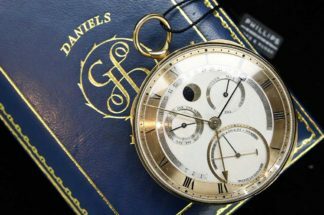 This is the Poinçon de Genève certified, caliber 5110 DT. How it manages to display the time at two separate locations is essentially with the aid of a fourth, GMT hand. So, what you have is a central running seconds, hour and minute hand to track time at your present location and the GMT hand to track the hour at an alternate location. Additionally, the watch also features a date and AM/PM indicators to help prevent the disorientation that travel — especially frequent travel — is known to cause. Multiple functions aside, the watch is relatively easy to use. The crown at 3 o’clock adjusts the primary time when pulled out to the first stop and in the second stop, adjusts the GMT hand with the primary time and the AM/PM indicator in tow. The screw-down pusher at 4 o’clock adjusts the date with the primary time, again, in tow. Three versions of the Dual Time will be made available, two in a 41mm stainless-steel case with a blue or silver-toned dial and a third one in a 18K pink gold case with a silver-toned dial. 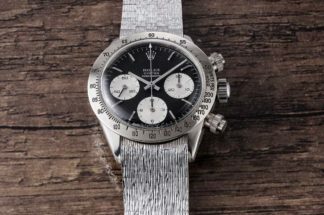 The steel watches will, also, be delivered with two extra straps — one rubber and the other one leather — on top of the bracelet, which can be switched out easily thanks to the quick swap system Vacheron Constantin has devised for the Overseas collection. Whereas the pink gold watch will come the rubber and leather strap, only. Next, something that’s a bit of a showcase watch. 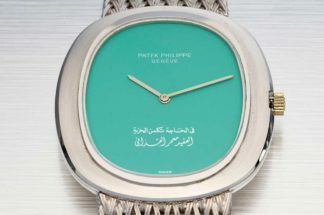 The Collection Excellence Platine is an exercise that was introduced by Vacheron Constantin in 2006. The idea was — and still is — to create exemplary demonstrations of the maison’s watchmaking capabilities, encased in 950 platinum and in limited production numbers. 2018’s addition to the exercise will be a triple-calendar watch with a moon-phase indication that is said to be accurate for 122 years. This is made possible by Vacheron Constantin’s calibre 2460 QCL, which also graces the Harmony Full Schedule. Complications are all good and fine, but what seals the deal with the Traditionnelle Complete Calendar here are the details. 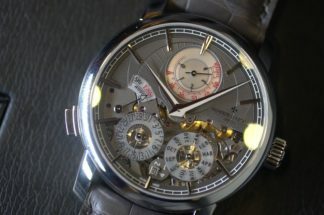 The beautifully crafted, tiered case, which Vacheron Constantin have referred to here, in French as the “Etagé” case and lugs; the sharp hour and minute hands, the crisp whie gold baton hour markers and that railway minute track — all come together to give the piece quite the sense of distinguished polish. The last bit of detail worth pointing out is that even the dial on the watch is made of platinum, with a sandblasted surface treatment. In fact, the moon-phase disc, too, is made of platinum. As Collection Excellence Platine creations have always been created in limited numbers, the Traditionnelle Complete Calendar, too, will have just 100 pieces produced.